What Is an IRA Basis? Normally, your contributions to an individual retirement account are tax free. The tax bite comes when you retire, start taking withdrawals and pay tax on them along with your other income. If you pay in more than the IRS lets you deduct, or just want to add extra funds to your IRA, these amounts are called nondeductible contributions. These nondeductible contributions establish your IRA's basis. At the time of writing, you can deduct up to $5,500 a year in IRA contributions from your taxable income. If your employer enrolls you in a retirement plan — a 401(k), for instance — that can lower your deduction. For example, if you're filing as a single person and your modified adjusted gross income, or MAGI, is greater than $60,000, you get a lower IRA write-off. If your MAGI equals $70,000, you can't deduct any IRA contributions. You can calculate your MAGI with a worksheet in Internal Revenue Service Publication 590-A. If you don't have a retirement plan but your spouse does, the cutoff for deducting IRA contributions is higher, but there is one. Losing the write-off doesn't prevent you from putting money into your IRA. Even if you get no write-off at all, you can still contribute up to $5,500 to your retirement fund. Once you make a contribution, deductible or not, any interest it earns is tax exempt until you start withdrawals. If you invest your nondeductible contributions in a certificate of deposit, for instance, the interest it earns is tax-free until you withdraw it from the IRA. For each year that you make a nondeductible contribution, you must file IRS form 8606, Nondeductible IRAs. This form tracks your basis over time, and is necessary to calculate the proper tax mounts for subsequent withdrawals. 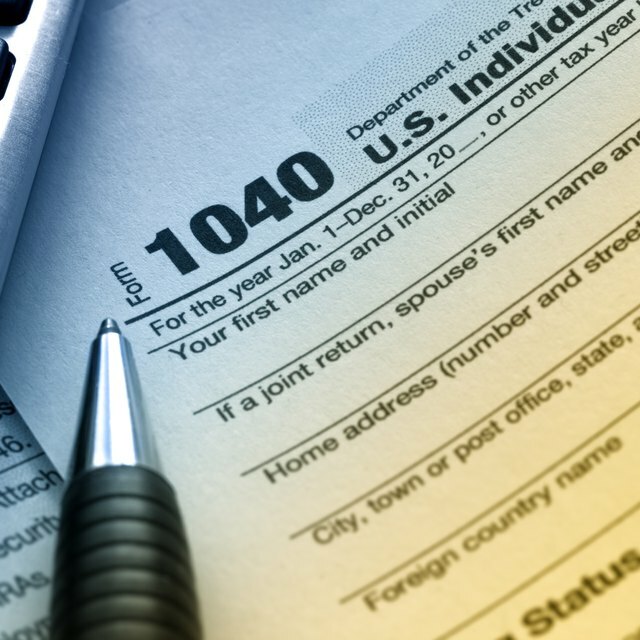 When Can I Take 401(k) Distributions Tax-Free? How Much Tax Will I Pay on My IRA? If your compensation for the year is less than $5,500, you can only contribute up to your compensation. The IRS defines compensation to include salaries, wages, self-employment income and alimony, but not interest, dividends or rental income. When you withdraw from an IRA, you treat the basis differently from deductible contributions and interest. You already paid tax on the nondeductible contributions, so you don't owe taxes when you withdraw them. IRS Publication 590 explains how to figure the nontaxable percentage of each withdrawal you take from your account. You have to follow the formula. Even if it's better for your taxes to withdraw everything from the basis this year, that's not an option. If you convert some of your traditional IRA to a Roth, you'll pay income tax on the conversion: A $5,000 IRA-to-Roth transfer counts as $5,000 in added income, for instance. However the part of your conversion that comes from the basis is tax free. As with withdrawals, you can't take money just out of the basis and leave the taxable funds in the account. If you have multiple IRAs, the tax calculations use the combined basis in all your accounts, no matter which account you actually withdraw from. If you inherit an IRA, that has no effect on the basis. If your mother dies and leaves you a $40,000 IRA with a $12,000 basis, the account keeps the 12,000 basis. You calculate the basis on a withdrawal just as your mother would have, but don't factor in the basis from your other IRAs when figuring out how much of the withdrawal from your inherited IRA is taxable. The exception is if you inherit the IRA from your spouse and elect to treat it as your own account — something allowed to spouses but no other beneficiaries.